Reblogged from the Washington Post. Johan Bergenas is deputy director of the Managing Across Boundaries Initiative at the Stimson Center, a nonprofit and nonpartisan think tank that studies peace and security challenges around the world. Monica Medina is a former special assistant to U.S. defense secretaries Leon Panetta and Chuck Hagel. In the past two years, about 60,000 elephants and more than 1,600 rhinos have been slaughtered by poachers, according to reports from the Wildlife Conservation Society, theInternational Union for Conservation of Nature and others. About a thousand park rangers have died in the past decade defending the animals. In 2014 there have already been 86 rhinos poached. Illegal wildlife trade generates an estimated $19 billion a year — more than the illicit trafficking of small arms, diamonds, gold or oil. A July Congressional Research Service report found that a rhino horn is worth more than $50,000 per kilogram on the black market — more than gold or platinum. Sadly, poaching elephants and rhinos in Africa is easy money for terrorists, and they are cashing in. 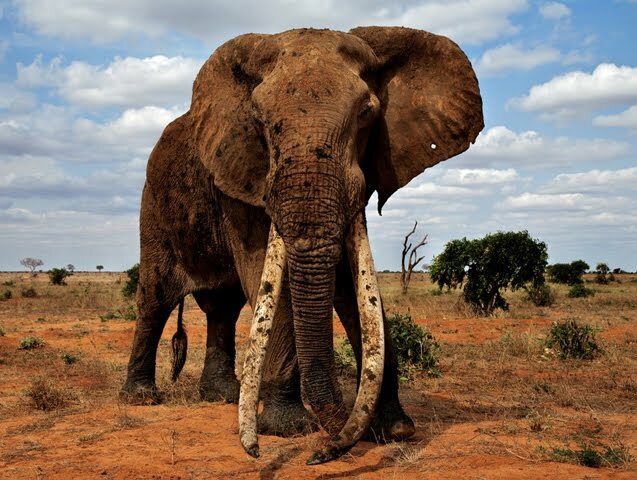 One Elephant Action League undercover investigation in Kenya concluded that illegal ivory funds as much as 40 percent of the operations of al-Shabab, the group behind the November attack at a Nairobi shopping mallwhere 60 people were killed. The former director of the Kenyan Wildlife Service and theU.N. secretary general have drawn similar links between crime against wildlife and al-Shabab, al-Qaeda and the notorious Lord’s Resistance Army. Last May, President Obama called for a new strategy to fight al-Qaeda and its affiliates. To be effective, these counterterrorism plans must engage not only African defense leaders but also conservation and development leaders. U.S. military plans for Africa should include ending elephant and rhino poaching to cut off a key source of funds for al-Qaeda and other terrorists. A high-level summit on wildlife crimes, organized by the British government, Prince Charles and Prince William, is scheduled to take place this month in London. It is the perfect place to call for a new partnership between the defense and conservation communities. As Obama’s national security team plans its next steps, it can follow Hillary Clinton’s lead. Before stepping down as secretary of state, Clinton commissioned an intelligence review of the impact of wildlife trafficking on national security. Completed last summer, the review prompted Obama to sign an executive order creating an interagency task force to develop an anti-poaching strategy. Due out this year, the strategy should include a greater military role in responding to this growing challenge. Last year Congress gave the Pentagon permission to combat the Lord’s Resistance Army’s poaching and human-trafficking activities. That authority should be expanded to cover all terrorist groups, including al-Shabab. Even without specific direction from Congress, the Defense Department and intelligence agencies should work with conservation groups to combat poaching, using new and inexpensive technologies to detect and deter terrorist activities and traffickers. Drones, satellite imagery, tracking devices and other high-tech tools could transform the fight to save elephants and rhinos, cheaply and effectively starving terrorists of the easy money they gain from wildlife crimes. Already, some African countries are asking for such tools. Top U.S. defense officials should routinely discuss wildlife trafficking in meetings with African military leaders. The U.S. military’s post-Afghanistan plans must explicitly include poaching in Africa and illegal trafficking of wildlife as new “fronts” in the war on terror. Using technology to detect and deter poachers is a much less expensive way to fight terrorists than deploying Special Operations forces — and less dangerous to U.S. troops. Finally, private-sector security and technology companies should be encouraged to work with African governments to deploy sensors, radars, unmanned aerial vehicles, satellites and other sophisticated data-gathering and detection systems. These types of defense technologies are needed to bolster borders, ports, roads, energy facilities and other economic infrastructure in Africa. Over the next few decades, the market for this infrastructure and societal security capacity is estimated to be at least $60 trillion, according to reports by McKinsey and others. By working now to protect African economic infrastructure, which includes endangered elephants and rhinos, technology companies could reap huge financial and public relations rewards. Security technology, military capacity and market incentives are all waiting to be deployed to defeat terrorists and save wildlife in Africa — a huge potential win-win. Here’s hoping that Prince Charles and Prince William use this month’s summit to publicly call on military and industry leaders to join the fight to conserve rhinos and elephants.